Kingdom principles have a process. I have realised that inasmuch as God is a miracle worker, there is a process He operates in. I was reflecting on my blogging journey 2 days ago and I remembered something that I can tie to other areas of our lives. After a long time of fighting it, I finally gave in to the leading to blog in January. I remember posting 4 blog posts and for 2 months I got zero views. I went back to God complaining as to why He didn’t pull people from the four corners of the earth to view my blog 😂😂 since He led me to do it. I literally used to sit for hours refreshing my page 🤦🏾‍♀️. And at this point, no one else apart from my husband knew I was blogging because I was very shy to tell others about it. So in March, I become consistent in blogging and I realised that my consistency yielded result. You see, that is what we do sometimes. Yes God told us to start that business or project. However He doesn’t bless the hand of a lazy person. We need to start working with what we’ve got. 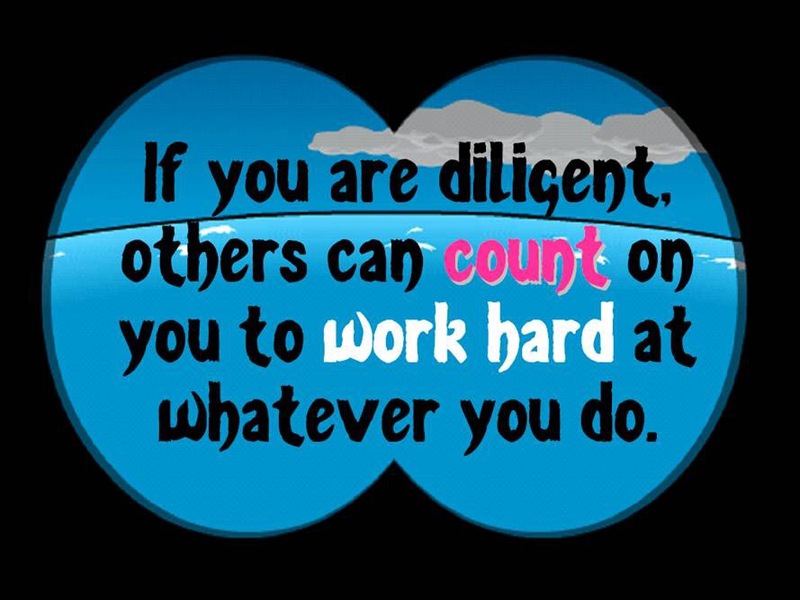 Diligence is key to success. I see the process similar to that of planting and harvesting. Planting the seed is just the beginning of the process. That seed needs to be waltered. Weeds needs to be cleared off it. Sometimes pruning is required too. All of these is what makes the harvest good. If the farmer throws the seed into the soil and travels away with the intention of coming back to harvest, he won’t find anything to harvest because he didn’t follow the process. What is that in your hand? How diligent are you with it? Are you faithful with that little you’ve got? I know your dream is to become a manager in your office but you aren’t going to be one if you are not disciplined enough to show up to work early. No amount of prayer and fasting will catapult you to that role if you are rubbish at doing the current role you are in. Excellence should be linked with children of God’s kingdom. Excellence distinguished Daniel from his peers in his time. So maybe we should take our eyes off that dream board for one minute and listen to our alarm when it rings for us to get up in the morning and prepare for work. Show up in work early. Finish our tasks in time. Maybe your boss isn’t demon possessed. It may just be that s/he is angry because you never hit targets and you are taking the team backwards. You want that book to sell so fast but you’ve been writing chapter one for the past 2 years. Ermmm that ministry isn’t growing because you are not prepared to equip yourself with what is needed to make it grow. So oftentimes it isn’t really people it’s us. Just like I wrote those 4 blog posts and went to rest expecting a miracle to happen, so we are resting prematurely in other areas of our lives. When we rest when we are supposed to work, we reap nothing. I believe in big dreams however I have learnt that I need to be diligent and give my all to what I am doing now in order to be able to handle the task and pressure that comes with bigger positions. I have learnt to be a better employee for everyone I work for. As a Christian, I believe God wants me to reflect Him everywhere I go. The quality of my work should reflect God. Being lazy and complacent isn’t the way to go. Quiting when the game gets tough isn’t a sign of discipline. Some of us are unable to keep jobs because we literally quit at everything we do. God isn’t going to grace us to do more when we are currently struggle with the little He has entrusted into our care. From today, let’s decide to be better employees, parents, bosses, business people. When we are faithful with little, God will give us much. It is for me to. Thanks for reading and commenting. G’day there Efua, a great call to action. I have been thinking about this stuff lately but while reading your post a part of my life( which needs to be woken up) came to mind. So thanks! I thank God you found this post inspiring. Thanks for always stopping by. This was refreshingly honest. I appreciate this post very much because it brings to light the laziness that most Christians endure, me being the chief one, as far as just wanting things to just happen, instead of really putting in the work that is required for it to happen. Thank you for sharing! Thank you so much for reading and commenting. I am glad you found it helpful. God bless you.